A Maximum Security Tie-In! 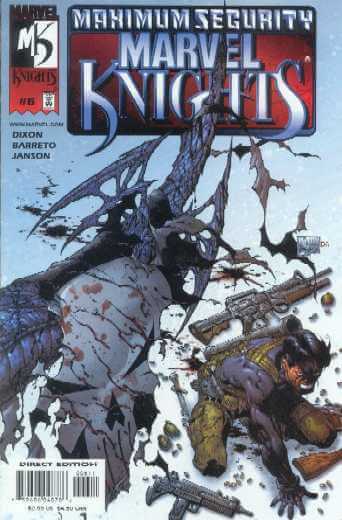 It’s fight night for the Knights as Shang-Chi and the Punisher battle for their lives! First, the Master of Kung-Fu goes toe-to-toe with his father’s henchman, the revamped and cooler-than-ever Zaran! Meanwhile, Frank Castle continues to wage war with Daddy Wronglegs and is aided by the most unexpected guest stars of all!